The iPad 4 is available right now in 16GB WiFi and WiFi + Cellular models – priced at $399 and $529 respectively – and available in black and white models. 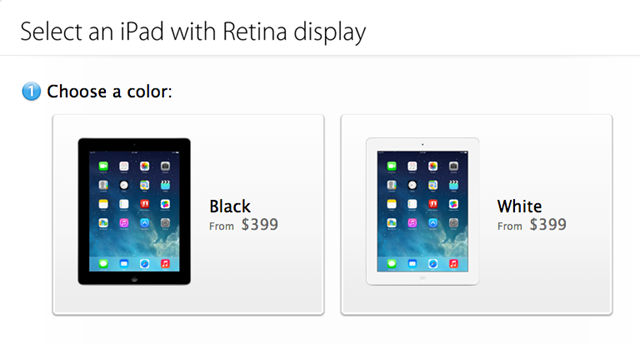 This is effectively a nice little step up for the lower end of the full-size iPad lineup. The iPad 2 was a heck of a great device, but as a 3-year old device it’s hard to compete with the current lineup of tablets from Apple and other vendors. The iPad 4 has excellent specs and features for the price point it’s offered at. You can see all the details on the new / old iPad 4 and the full iPad lineup at this Apple Store page.